KARACHI : Imports of power generating machines fell by six per cent in 2012-2013 despite the fact that the country remained in the grip of intense power crisis. Generator�s import declined to $977 million in 2012-2013 as compared to $1.039 billion in same period in the last fiscal year, down by six per cent. June 2013 generator imports also dropped to $76m from $83 m in May 2013 and $89m in June 2012, figures of Pakistan Bureau of Statistics revealed. Pakistan Machinery Merchant Group President Khurram Saigol linked fall in generator imports to falling purchasing power caused by increase in prices, business environment and rupee devaluation against the dollar, making imports more costly. He said generator�s price had risen by at least 20 per cent in the last one year due to depreciation of rupee against the US dollar and increase in GST by one per cent. He said that successive governments continued to assure the nation of taking extra measures in curbing power crisis but consumers continue to suffer heavy load-shedding. �The improvement in power supply can only bring down import of power generating machines,� he added. Khurram said that another reason of decline in legal import of generator was the influx of smuggled generators whose share hovered between 30 and 40pc. The high incidence of taxes and duties on imports, which comes to 36-36 per cent, including freight charges, usually encourages smuggling, he said, urging the government to bring down taxes and duties on import to discourage illegal arrival of generators. Since generators are not being locally produced, there is no justification of imposing high incident of taxes, he added. 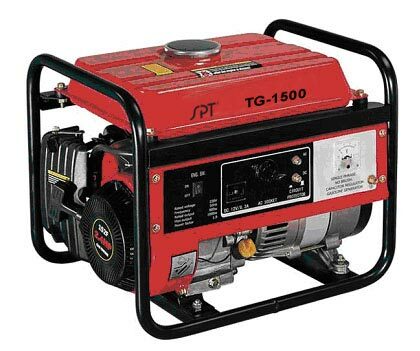 He claimed that smuggled generators are available in almost every market of the country, thus eroding the market share of generators arriving through legal channels. He said bulk of legal imports was being made from China. The 2.5KVA generators hold around 40pc share in terms of local sales followed by 20pc in 6KVA and 20-25pc in one KVA.